Jared is a lifelong resident of Columbia, Missouri. He and his wife Liana have two children, Luke and Anna. Jared enjoys playing on his church softball team, playing golf and attending Mizzou football games. Since 2003 Jared has spent his entire career defending Employers and Insurers in workers’ compensation matters. 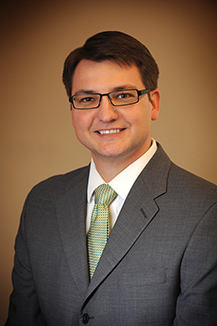 Jared is a member of the American Bar Association, Missouri Bar Association and Boone County Bar Association. Jared is admitted to practice in all Missouri Courts and the United States District Court – Western District of Missouri. Jared is also a member of the Missouri Bar Workers’ Compensation Law Committee and the Missouri United Methodist Church.